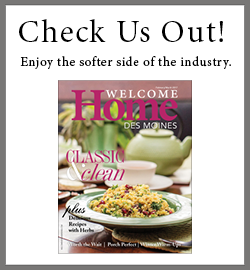 BUILD Des Moines is the first all-digital professional publication devoted to educating, informing, and promoting the local residential industry. This unique publication targets business leaders within the residential industry who make decisions, influence trends, and drive the market. Builders, remodelers, subcontractors, service providers, decorators, realtors, bankers, elected officials, and other industry professionals will all receive BUILD Des Moines directly in their e-mail inbox. Full page ads will make sure your business gets noticed. Design assistance is available if required. Don’t miss the opportunity to participate in this exciting magazine. To learn more about how you can get involved as an advertising sponsor for BUILD Des Moines, fill out the form below or call (515) 965-0507 today! Yes, I would like more information about advertising in BUILD Des Moines.